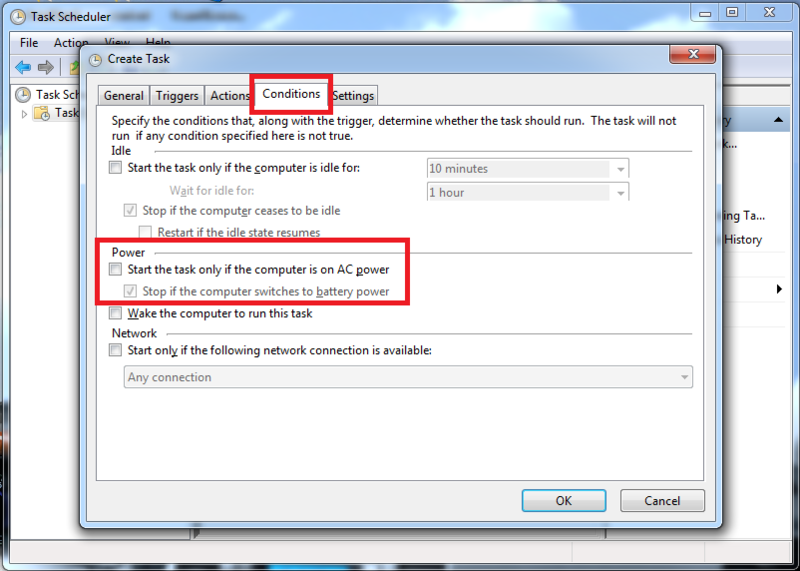 PC Manager is Not Running when I click the PC Manager icon. 1. 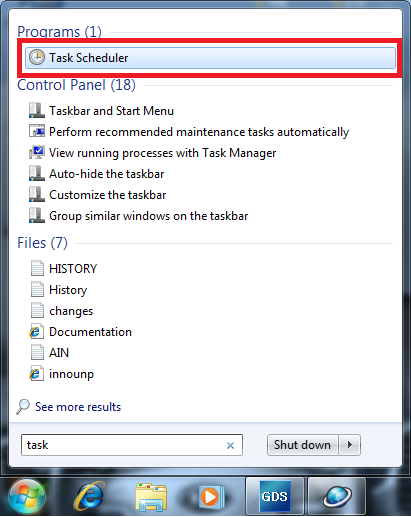 Click [Start] and search [Task Scheduler]. 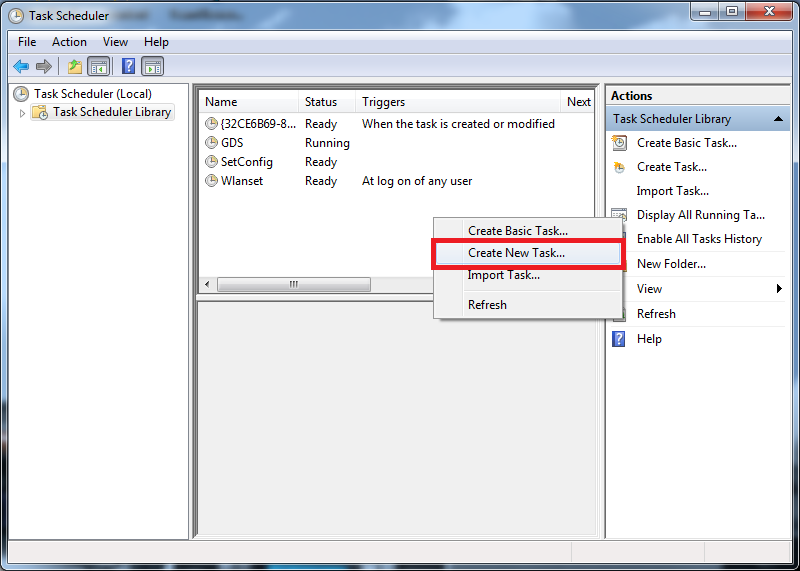 If it does not exist on it, click on the right button of the mouse and click [Create New Task..]. 3. 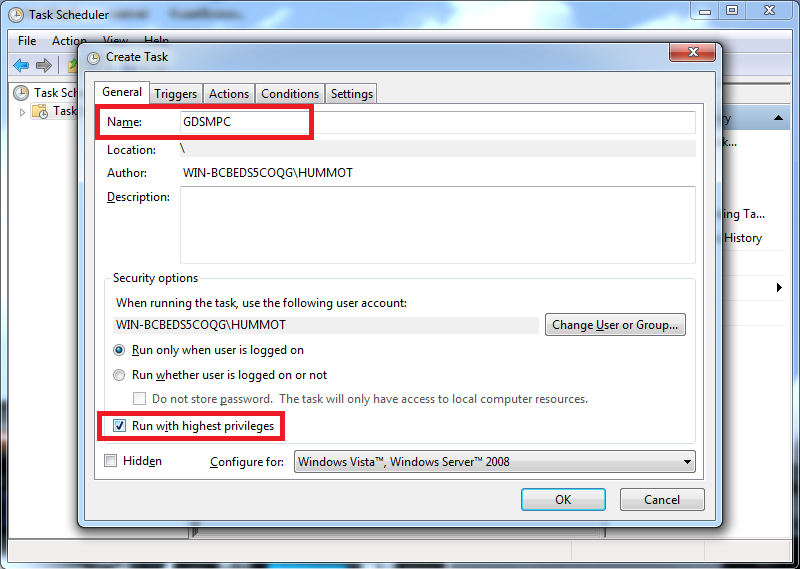 Enter GDSMPC in the blank as the name and check the box[Run with highest privilieges]. 4. 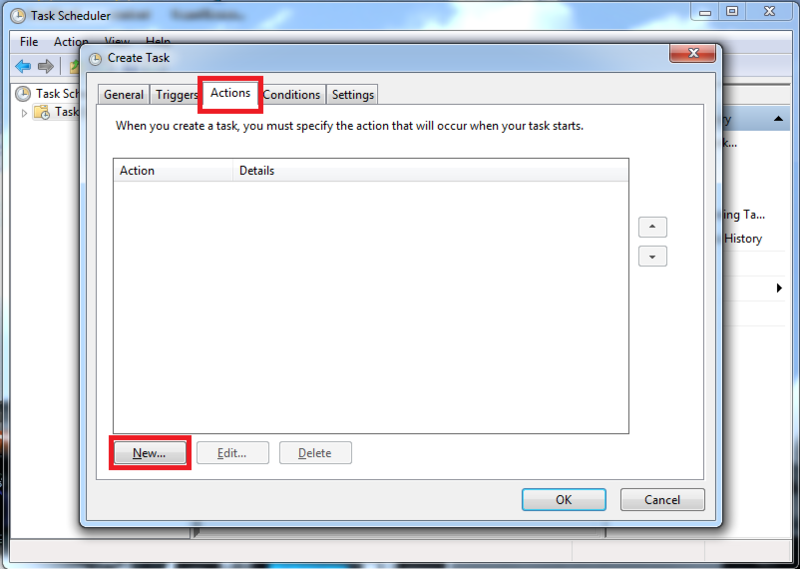 Go to [Actions] tab and click [New...] button. 5. 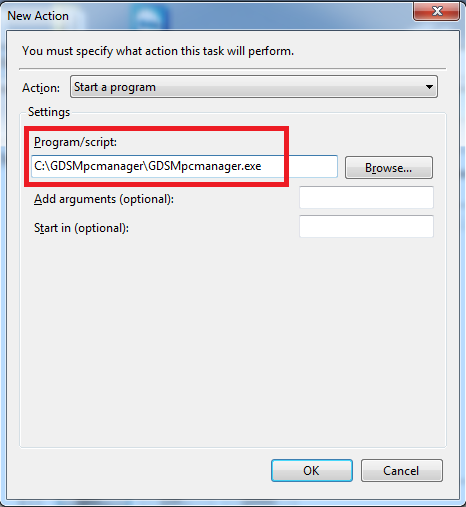 Click [Browse..] and go to the path [C:\GDSMpcmanager].Then add [GDSMpcmanager.exe] and click [OK]. 6. Go to [Conditions] tab. Un-mark the box[Start the task only if the computer is on AC power.] then click [OK] button.